Make Monster Hunter: World perform even better on PC by making a few adjustments. After what feels like a lifetime of waiting, PC players have finally gotten their hands on Capcom’s record-shattering best-seller, Monster Hunter: World. 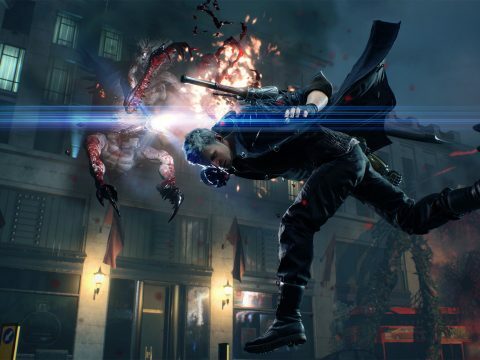 Though the main appeal is hunting monsters, PC players have more than that on their minds, namely, diving into the nitty gritty details of the specs, tweaking settings, and creating the perfect gaming environment. Before you reach the New World, take a few moments to tweak Monster Hunter: World so you can get the best out of your PC! Gone are the days of having a simple square monitor to play DOS games on, now it’s all about how wide can you get your screen while still fitting it on your desk (or wall). 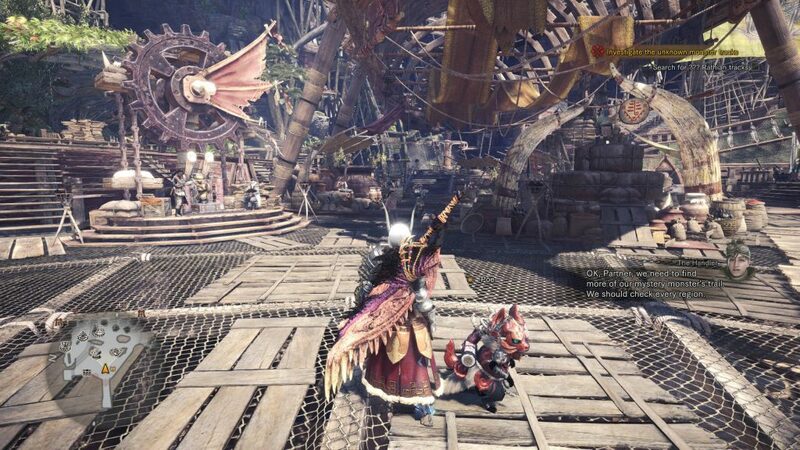 For a lot of PC gamers, widescreen and ultra-widescreen options are an absolute must-have for all new release games, but unfortunately Monster Hunter: World is not equipped to handle our stretched screens. A lot of the in-game options result in a standard aspect ratio with black bars on the side – an absolute no-go. Thankfully, there is a workaround for those comfortable editing a few files. While this isn’t “true” widescreen, those who want to get rid of the black bars on either side of the game should find this method acceptable. Besides, the visuals are one of the many reasons we love Monster Hunter: World, so the more that fit on the screen, the better. 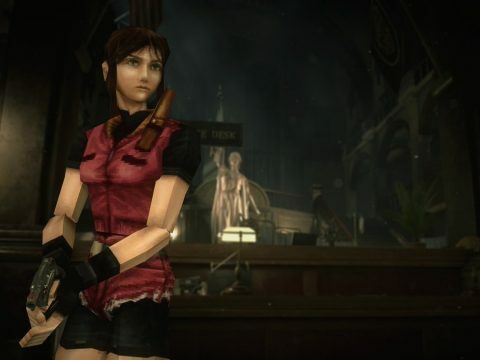 This should tide us all over until Capcom, hopefully, adds more widescreen functionality. Having a weapon in hand is obviously the best way to ensure you can hunt a monster, though for some reason Monster Hunter: World will choose to automatically sheathe your weapon after a few seconds. This little mechanic can lead to frustrating situations where, after repositioning for a better attack, you’ll go to launch a combo only for your character to soak up precious seconds unsheathing their weapon, which inevitably ruins the opening gambit. Switching off the auto-sheathe and enabling manual sheathing means that the game will never automatically put your weapon away – the control is entirely in your hands. This setting can be found under controls and “Sheathe Settings”. 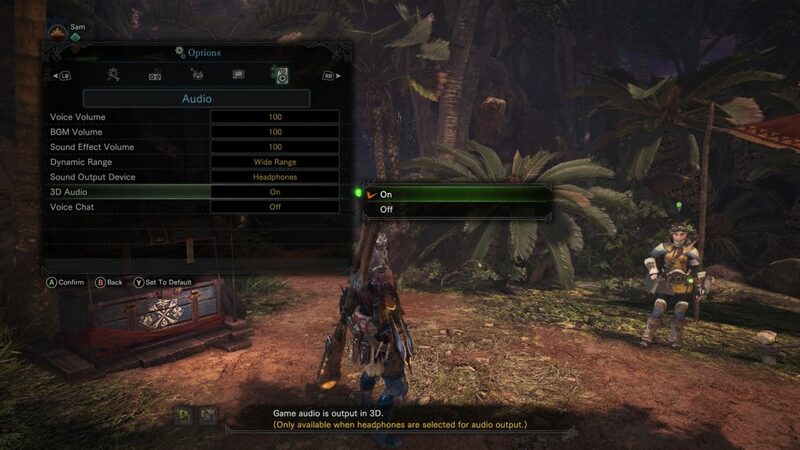 Playing Monster Hunter: World on PC means having greater control over every aspect of the game, including audio. 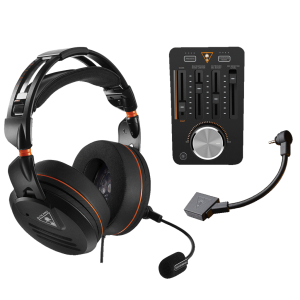 With a headset like the Elite Pro and the Tactical Audio Controller, Monster Hunter has never sounded so good – but you’ve got to ensure the in-game settings are good to go. By navigating to the audio tab in the settings, you can change the dynamic range to “Wide Range”, which will further heighten the differences between loud and quiet sounds. The TAC allows the Elite Pro to utilize the incredible DTS Headphone:X 7.1 Surround Sound technology, an absolute must-have for those hunters who never want to be snuck up on by an Anjanath in the Ancient Forest. One setting to further exemplify this feature is the 3D Audio option. When the Sound Output Device is set to “headphones”, you can switch on the 3D audio to ensure that Monster Hunter: World is delivering the best possible audio to your headset, and thanks to the 50mm Nanoclear™ Speakers, the Elite Pro will translate this into truly breathtaking sounds. 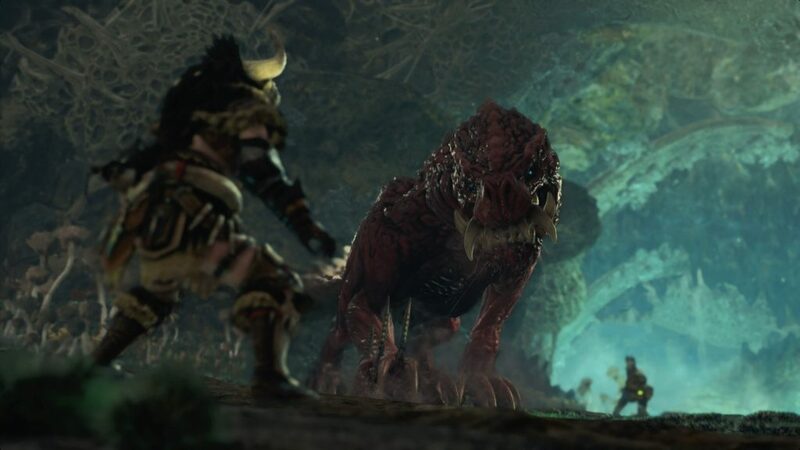 Because Monster Hunter: World is so popular, both on console and PC, players are bound to run into some connectivity errors as the servers are flooded with would-be hunters. One problem that is currently plaguing users is the 83-MW1 error code, especially when trying to play co-op with friends. 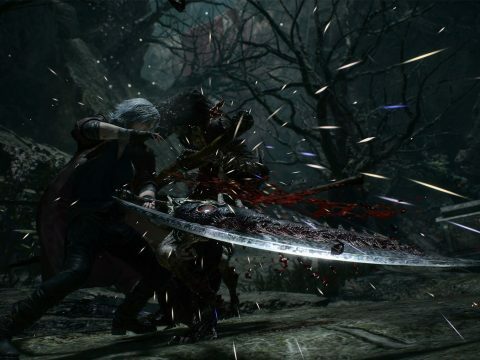 This error immediately disconnects players from their online session, plunging them offline, separating them from their hunting party and potentially wasting precious in-game resources. While it might not work for everyone, there is a Band-Aid fix, and it only requires adding two words to the launch options of Monster Hunter: World. Be sure to include the hyphen and the space between the two words to ensure these commands work. 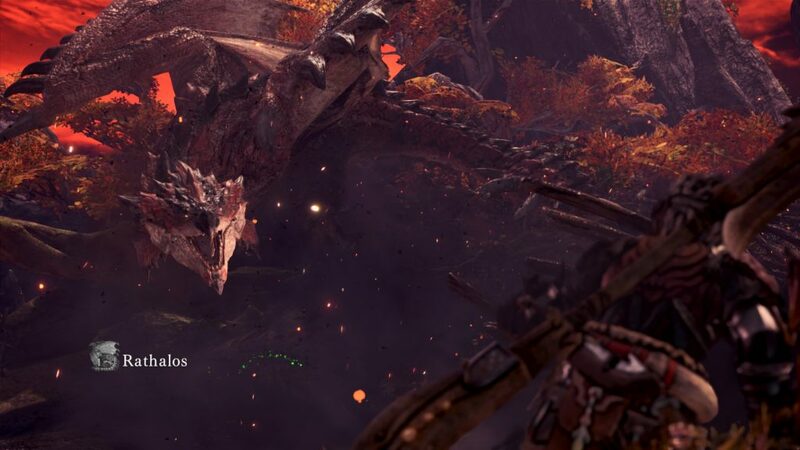 The first command tells Monster Hunter: World to use a different friend user interface while the second tells the game what internet protocols to use. 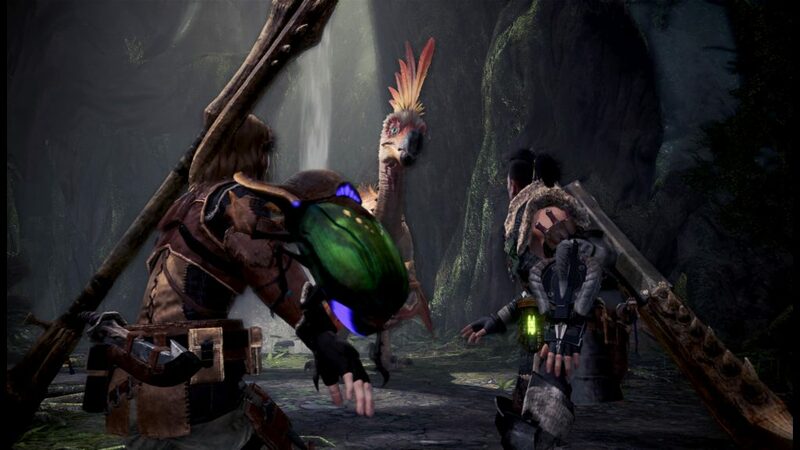 For some players, this should solve their 83-MW1 error code problems and allow them to play Monster Hunter: World co-op, but unfortunately it may not solve the problem for everyone. Monster Hunter: World has been a colossal success for Capcom, and now that it’s finally on PC, everyone can enjoy the monster-hunting goodness. Though some PC players are happy to simply get in and play, others will want to spend some time tinkering with the settings to optimize their experience, for those players, take a moment to get all the above sorted! After that’s done, take a moment to read over our guide on unlocking High Rank mode in Monster Hunter: World. Now get back to Astera, feed your Palico, and go hunt some monsters! Reimagined from the ground up for eSports athletes, the Turtle Beach® Elite Pro PC Edition is the first headset that allows you to comfortably play like the pros.